Posts x 4: 4 x 25mm (1inch) diameter chrome plated steel posts 1525mm (5ft) Long. Each wire shelving post comes with 75mm swivel castors (2 with & 2 without brake). 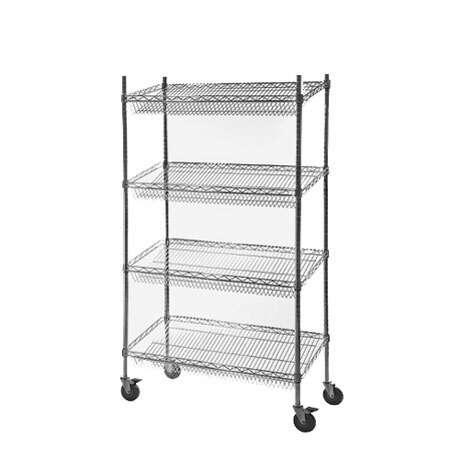 Shelves x 4: 4 x 1220mm (4ft) wide x 610mm (24inch) deep chrome plated steel wire shelves sloping from back to front capable of carrying 150kg (330lbs) per shelf.